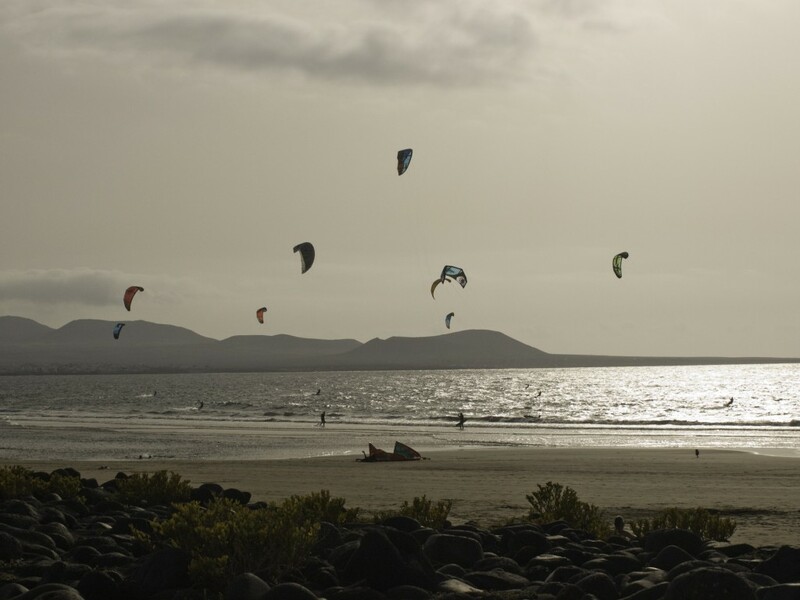 Our Lanzarote KiteSurfing Holiday is ideal for single travelers, couples or groups of friends looking to stay in one of our kite houses in shared basis or in many handpicked private studios, apartments or bungalows in the unspoiled fishing village and bay of Famara. 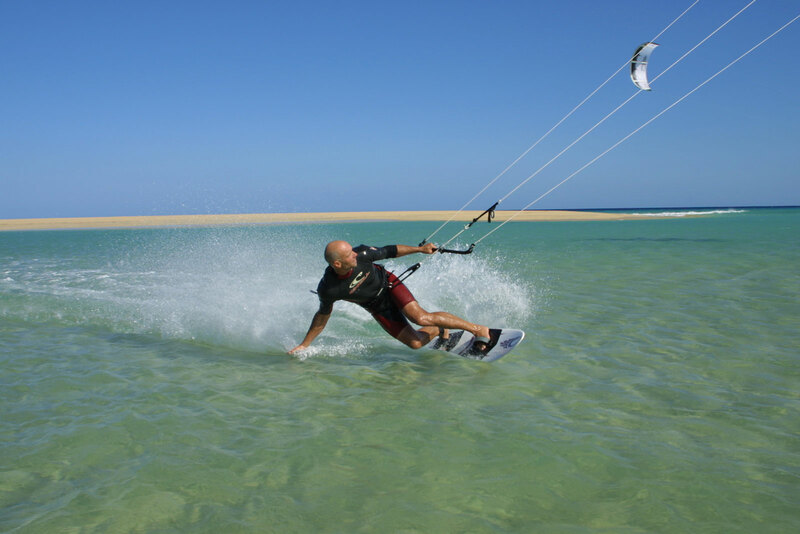 We offer kitesurf courses for beginners, intermediates and advanced kitesurfers . Whether you have never kitesurfed before or whether you just want to improve your skills, our professional coaching team will help you achieve your goals. 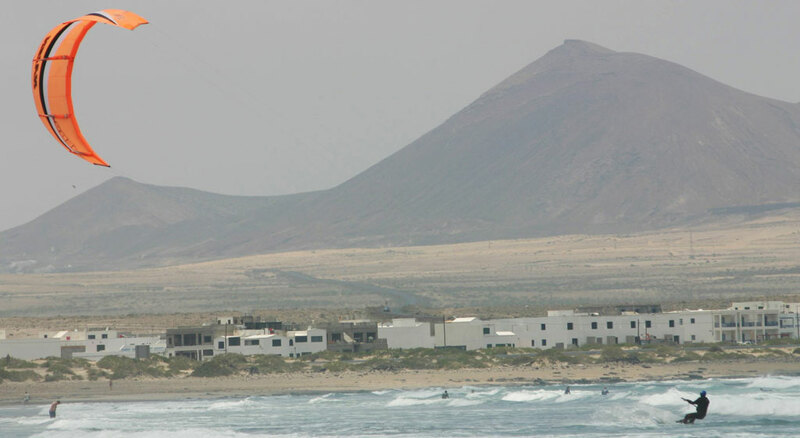 The Kitesurf school and centre is located in the village of Caleta de Famara and the kitesurfing takes place in the 5 km bay of Playa Famara, recently voted as one of Europes top watersports destinations. 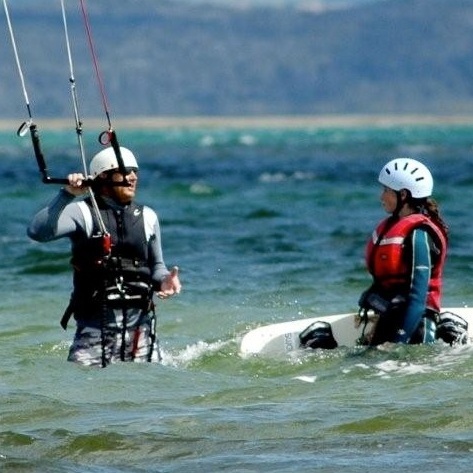 The instructors are all IKO accredited and to ensure maximum progression the student to instructor ratios are kept low and the course outline follows the IKO kitesurf course structure. 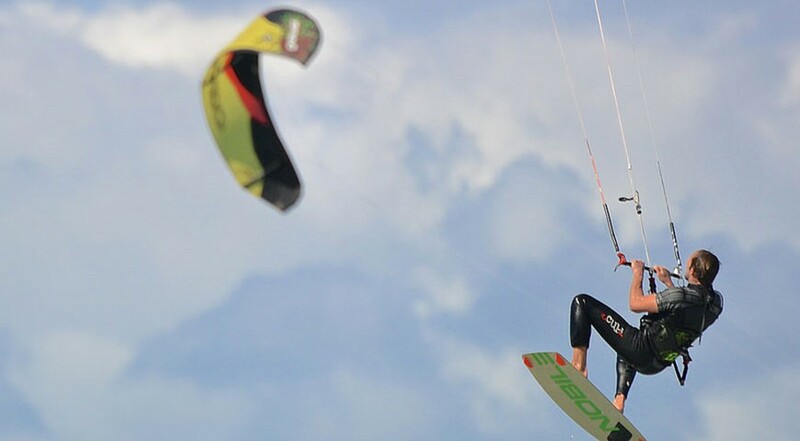 • All Kitesurfing Equipment: OZONE kites & boards, harness, helmets, life vest, Simple fins wetsuits etc. • Student to Instructor Ratio: Low 3 max. The kitesurf camps run from early March to mid October when the winter groundswells tend to die off and the trade winds kick in. Here’s a quick overview of what to expect from yor first Kite Session. 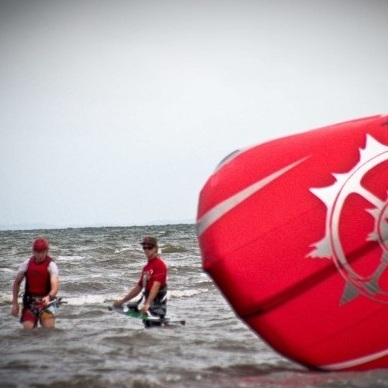 Typical Session: Meet at kiteboard center, prepare and load kite equipment into vehicle. Head off into the desert and in the shadow of a dormant volcano you’ll get your first kite lesson. Off-load kites and other equipment. Learn how to set-up the kite equipment, detremine wind direction and learn about the wind window and how kite reaction. A quick ‘pre-flight’ check and then the exhilaration of launching and landing the kite by yourself. Feel the power and adrenalin kick in! Learn how to pilot the kite in the power zone, rigging and adjusting a 4 line kite and piloting with a harness.